Security groups allow you to manage user and computer access to shared resources. They greatly simplify administration by providing an efficient way to assign access to different resources using Role Based Access Control (RBAC). Until now, Power BI only supported sharing dashboards to individual users or distribution lists. 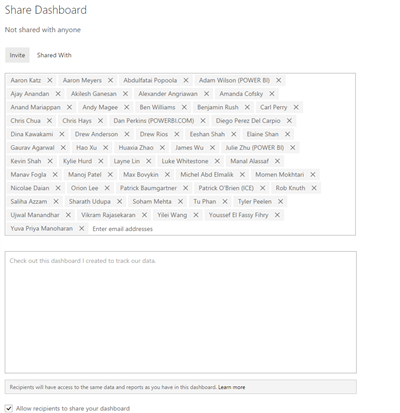 With this week’s release, you will be able to assign Role Based Access Control to dashboards! Lets’ see an example of how you can put this to use. 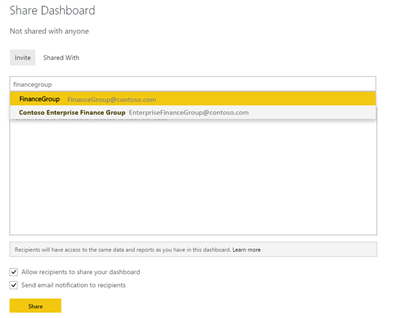 All members of the security group will automatically get the dashboard. 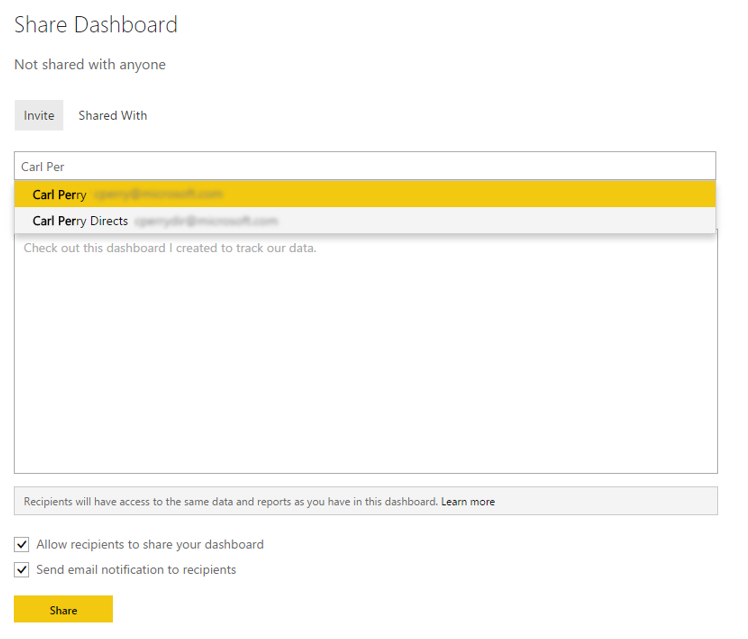 They do not need to click any email links to get the dashboard. Let’s look at Carl’s account now. 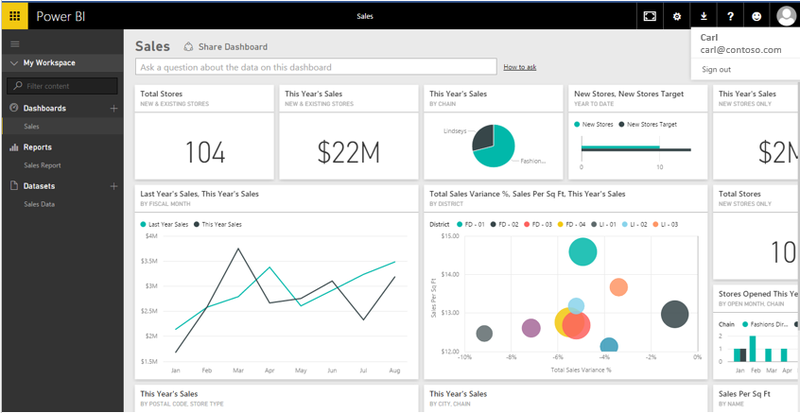 As we expect, the Sales dashboard shows up in his workspace. If Carl is removed from this security group in the future, the dashboard will automatically be removed from his workspace. 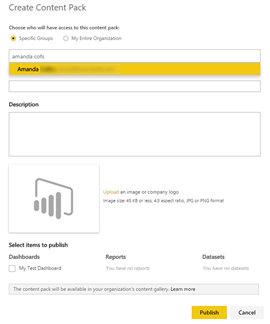 As you saw in the previous section, Power BI offers autocomplete suggestions as you start typing the names of the recipients. Going forward, you don’t need to remember the full email address of any recipient! All you need to know is the first few letters to get started. Once you type in a few letters, Power BI searches the Azure Active directory graph of your tenant and lists the most relevant users in a drop down. You can either use your mouse to choose the right user or just use the arrow keys to navigate to your choice and hit the tab key to complete. 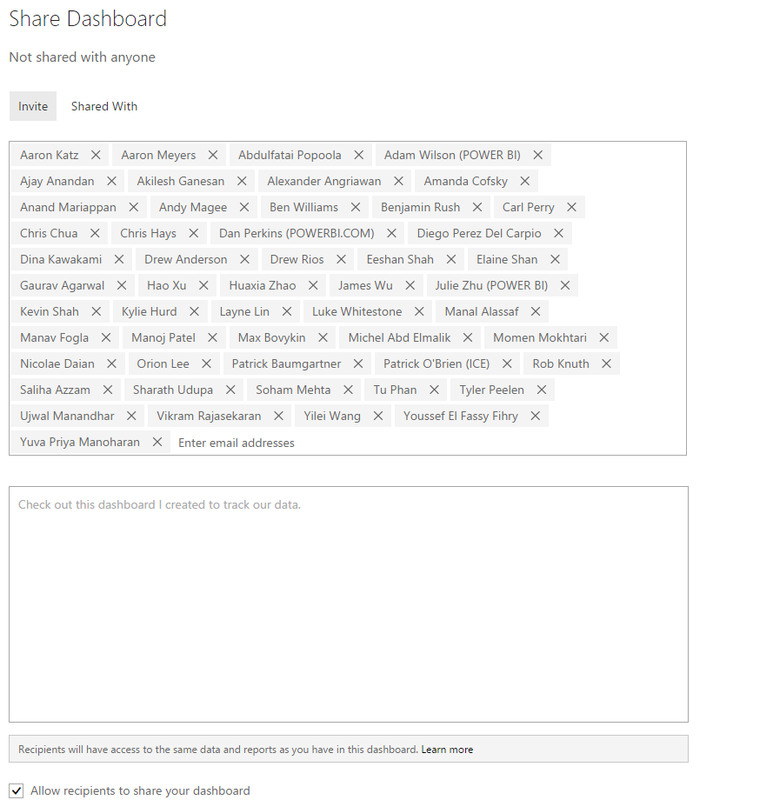 As you would expect, people picker helps you out when you share dashboards, add members to groups or publish content packs. Another common scenario is when you have a large number of email addresses to share with. Instead of typing them out, you can just paste them into the area for email addresses. Just separate the email addresses using a comma or a semi colon and Power BI will do the rest of the work for you. 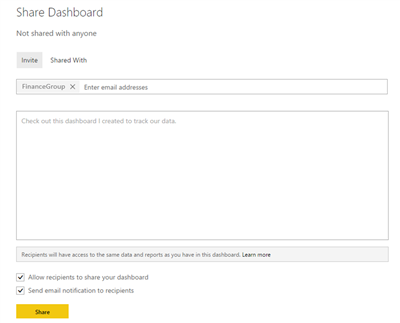 And yes, you can copy and paste email address directly from Outlook. 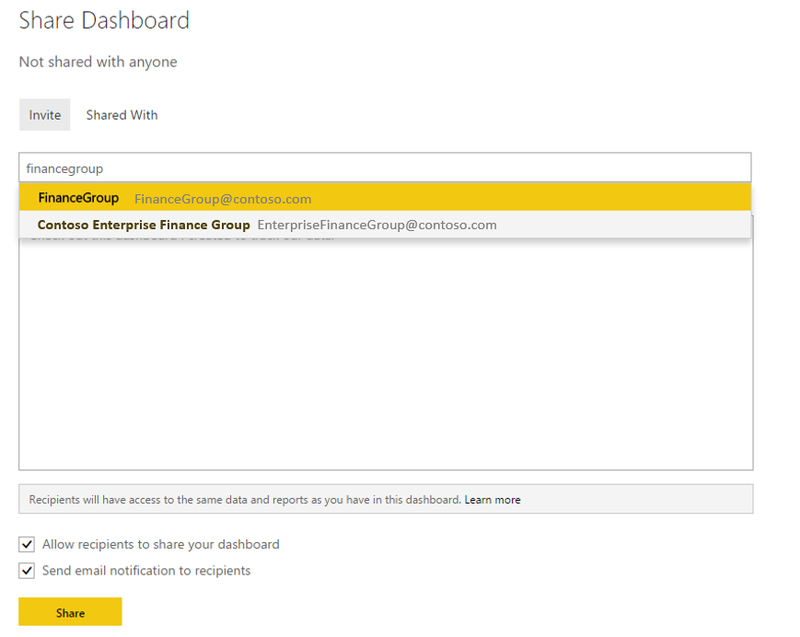 Power BI also understands that format! Many of you have internal corporate portals where you would link to different Power BI dashboards. End users would visit your portal and click the link to access them. We have added an option to make this experience much better for your visitors. 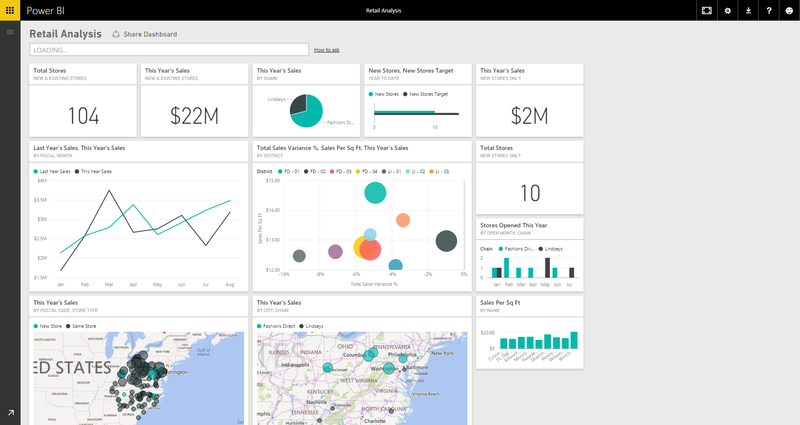 Also, Power BI remembers whether your navigation pane was collapsed or expanded on your last visit and defaults to that setting during your next visit. 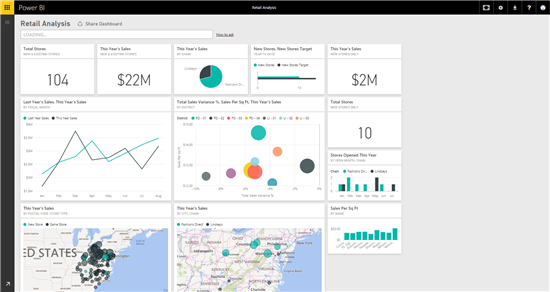 So you don’t need to collapse the navigation pane every time you visit Power BI – you do it once and Power BI remembers it for subsequent visits. We hope that you like these new features. Try them out and let us know what you think in the comments section below. And in case you missed it, here are the other awesome features we released over this month.